Payroll is an integral part of your business, much like Customer service, Content Marketing, Sales Service, and Analytics. Many growing businesses outsource these activities, while many others have in-house staff to perform them. What these latter businesses do not realize is that it increases complexities. These tasks are essential but they are not a part of the core business processes and therefore, become a big drain on the company’s resources and time when performed in-house. Why Do You Need Payroll Outsourcing Companies? It takes a group of professionals to look after payroll processes as a small error can lead to a major problem. Spending more time and money on non-core business activities like payroll reduces the overall profitability and generation of revenue in the business, burning out your staff productivity. So, when it comes to small and growing businesses, it is always more beneficial to hire a payroll outsourcing company for accurate, timely, and cost-effective monthly payroll processes. It is understandable that outsourcing, to you, sounds like an idea that is going to be an extra burden on your budget. But this is not always true. This article aims to inform you about the pluses of outsourcing, allowing you a different perspective. The most effective advantage of hiring payroll outsourcing services is that it saves both, time and cost. Payroll outsourcing companies have skilled and dedicated professionals who provide simpler ways of disbursing salaries to your employees. This reduces in-house costs and minimizes the burden of payroll work on internal employees. Your tedious task is now taken over by the third party who will take care of all the payments of employees and vendors. They will also deal with tasks related to bank reconciliation, tax filing, legal compliance, etc. Therefore, there is a considerable reduction in costs since you do not incur extra charges for retraining or hiring skilled employees. Consequently, you also save on infrastructure costs. The best part about payroll outsourcing companies is that they are equipped with modern technologies and software’s which enable them to use automated methods of reporting. It also helps in better auditing and standardizing of reports. Further, errors are neutralized by analyzing the issue thoroughly with the help of computerized systems of accounting. Missing information can be tracked to its source as it ensures a reliable data storing system. Sometimes, you may not be fully aware of the latest update of tax regulation or a change in law. Outsourcing companies are well aware and see that your payroll taxes are timely submitted and qualify for deductions and tax benefits. They keep themselves up-to-date with all current regulations and laws made by the government to ensure that you do not face any major penalties. This helps you to maintain a good business/organization image and no unnecessary loss of money. Cases of data theft have been observed by in-house employees. There remains a risk of the payroll information being tampered with or manipulated, resulting in fraudulent activities. It is the primary objective of the third party service providers to prioritize data security and privacy. In order to protect your data from security breaches, timely updates on payroll softwares are carried out by them which provide security from unethical hacking. Regular audits are also conducted to check that the payroll procedures are secured and correctly carried out without any chance of fraud. The payroll management team ensures that the confidentiality of your data is maintained. If still tampered with, you have the option to sue the party in the court of law and ask for legal compensation. It is the top priority of the payroll outsourcing company to ensure reliability and accountability in their work. 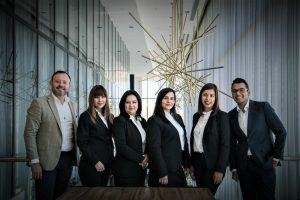 Owing to the fact that these professionals have your payroll details timely revised and updated, they help you focus on the expansion and growth of your business. A group of highly trained employees and management makes for error-free calculation and reports. Therefore, when you outsource your payroll processes, you can rely on the procedures of timely payment. Choosing an experienced and reliable payroll outsourcing company does wonders and can help you cut cost and save time by a great extent! The burden of checking on labor turnover, tax payments, statutory compliance fall into their hands. On the other side, you can concentrate on running a business that ensures growth and profitability!